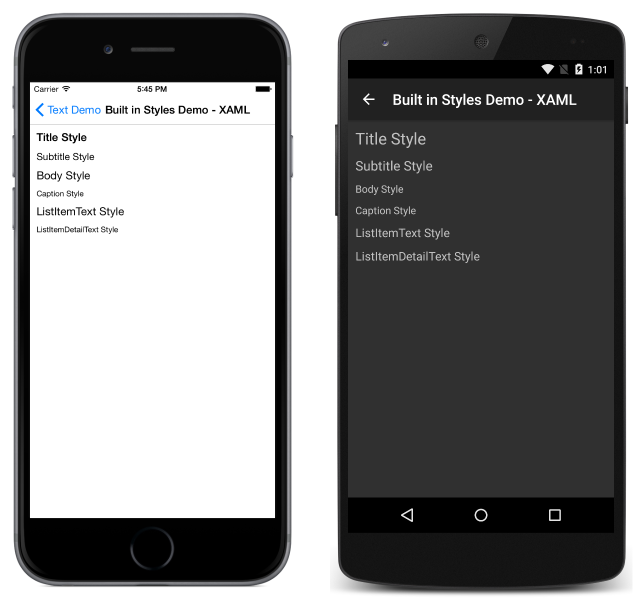 Styles can be used to adjust the appearance of labels, entries, and editors. Styles can be defined once and used by many views, but a style can only be used with views of one type. Styles can be given a Key and applied selectively using a specific control's Style property. Styles consist of setters and setters consist of properties and the values the properties will be set to. Note that resources (including all styles) are defined within ContentPage.Resources, which is a sibling of the more familiar ContentPage.Content element. Once a style has been created, it can be applied to any view matching its TargetType. The built-in styles exist to make it easier to respect accessibility preferences. When using any of the built-in styles, font sizes will automatically increase if a user sets their accessibility preferences accordingly. 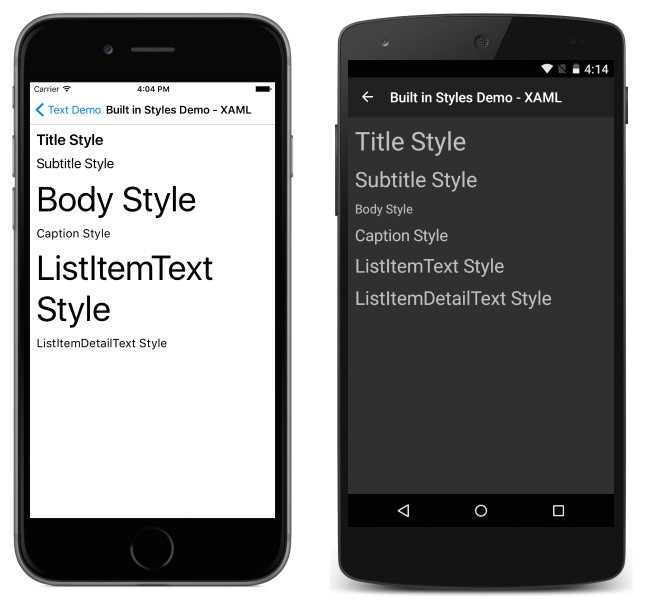 To ensure accessibility, make sure that built-in styles are used as the basis for any text-related styles within your app, and that you are using styles consistently. 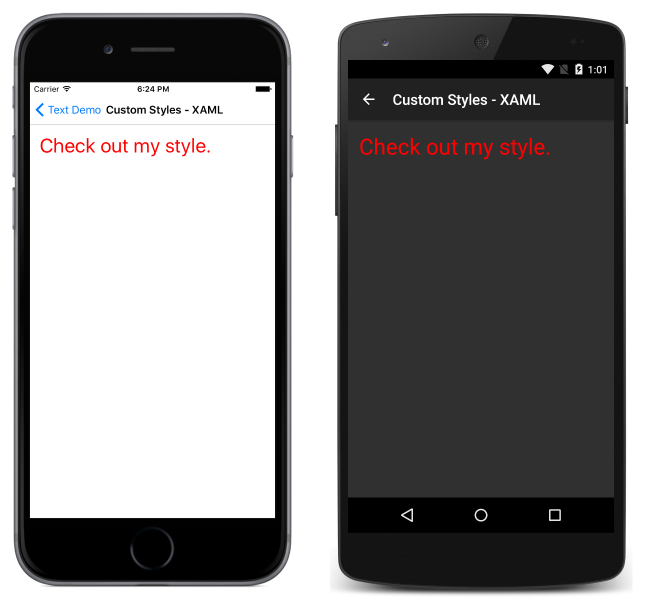 See Styles for more details on extending and working with styles in general.